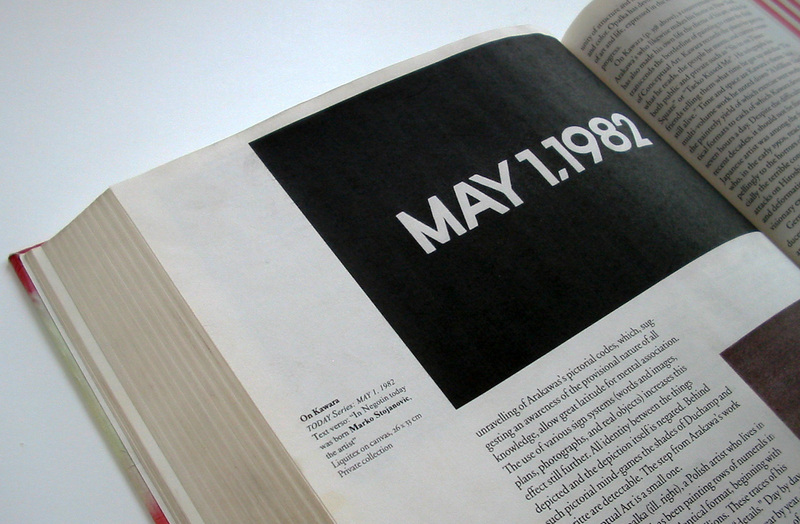 In his work (attributed to On Kawara, born 1932, i.e. 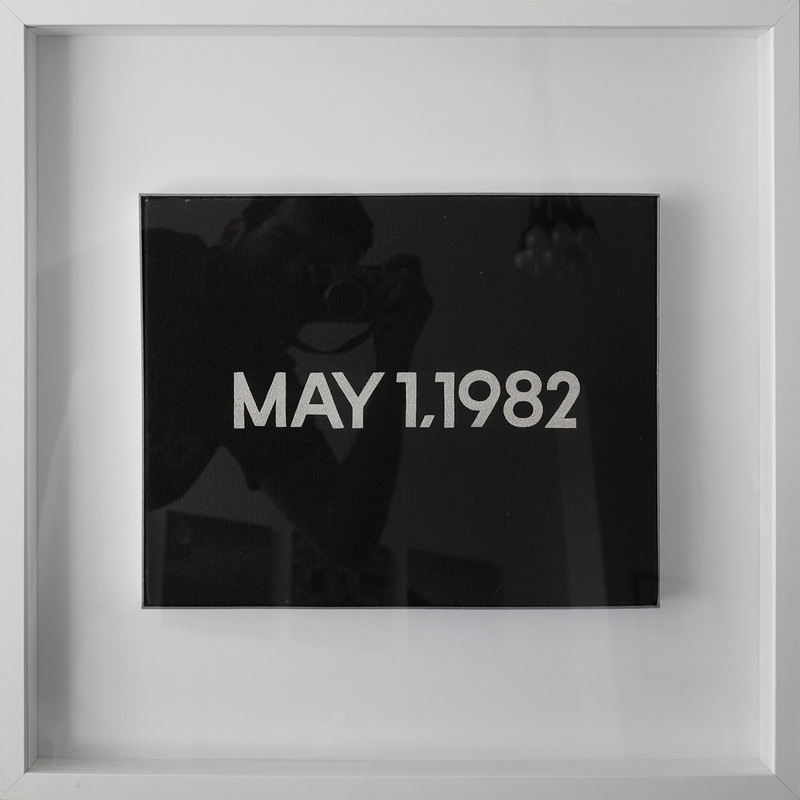 half a century before him) entitled On Kawara: Today Series May 1 1982 (on the blackboard the date of birth of Marko Stojanovic is written with a note: “Text verso: Marko Stojanovic, the artist, was born in Negotin today”) a young artist named Marko Stojanovic completely relativises the entry of the young artist into the Symbolic Order of Art. 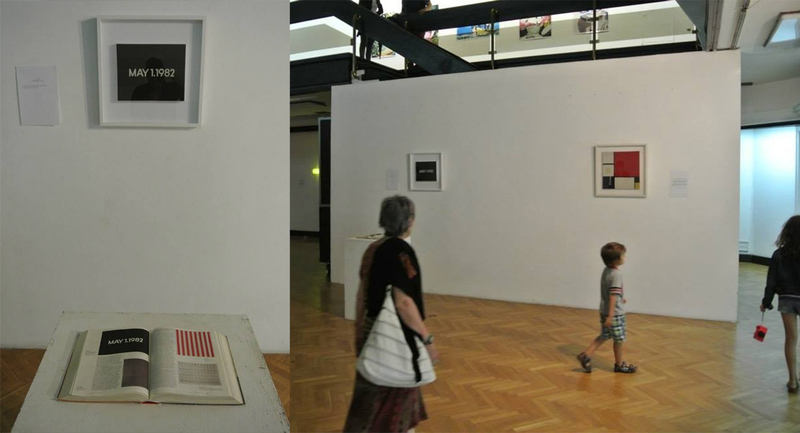 Instead of creating in accordance with tradition or against it, instead of speaking the Language of the Father or the Language against the Father, he forces the Japanese artist On Kawara (who here plays the role of the Symbolic Father) to speak in his own language (at the same time, Kawara has created his work of art on Vietnam on the same board) for his younger colleague and thus to introduce him to the Symbolic Order, which with this act on the part of the young artist is exposed to mild irony, thus treating with irony the everlasting need of artists to create in accordance with tradition or against it. 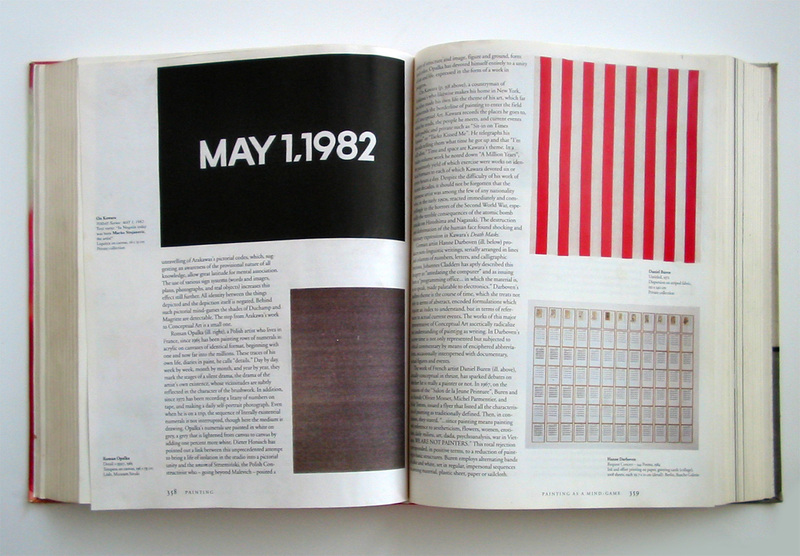 In the catalogue, Stojanovic quotes a part of an alleged interview with Kawara in the New York Times where he explains the creation of his work: “I am often asked how I knew that such an important man had been born on precisely this date in a small and distance place, and I only say: Heaven knows! Three stars showed me the way… Then I found the data on the Internet and they proved to be correct. 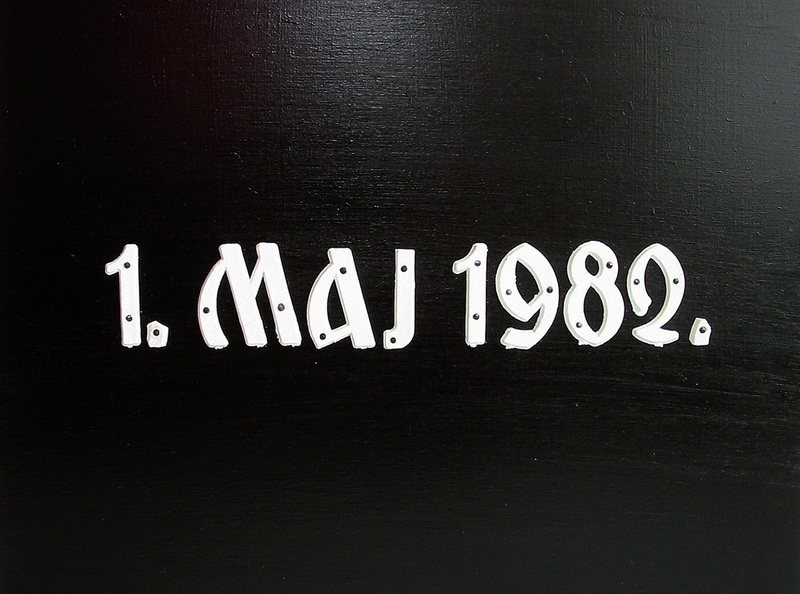 So I made this painting, without delay, precisely on May 1st, 1982. It was a step forward in my choice of this very important event to which I dedicate this painting. 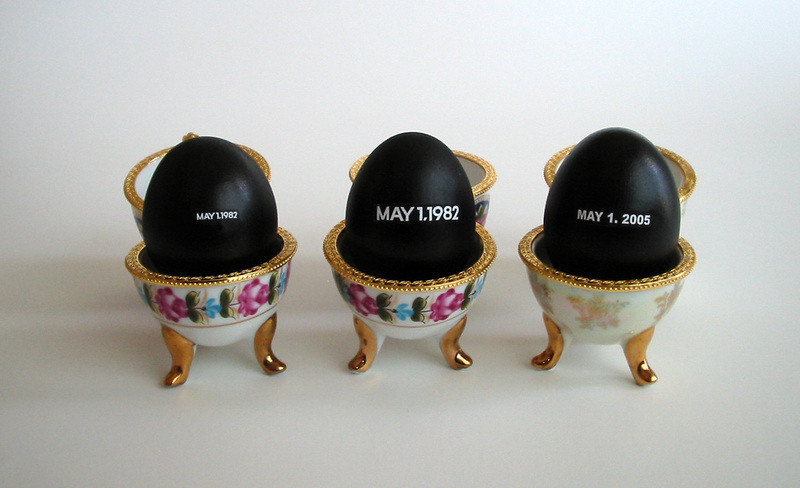 In the multitude of paintings that deal with political events, this one dealing with just one newly-born man also had to take its place!” Here Marko Stojanovic makes a parody of tradition: we are not turned towards the past - just the opposite, the past is turned towards us; its not the contemporary artist who researches tradition, it is tradition that tries to “presuppose” the future artist. 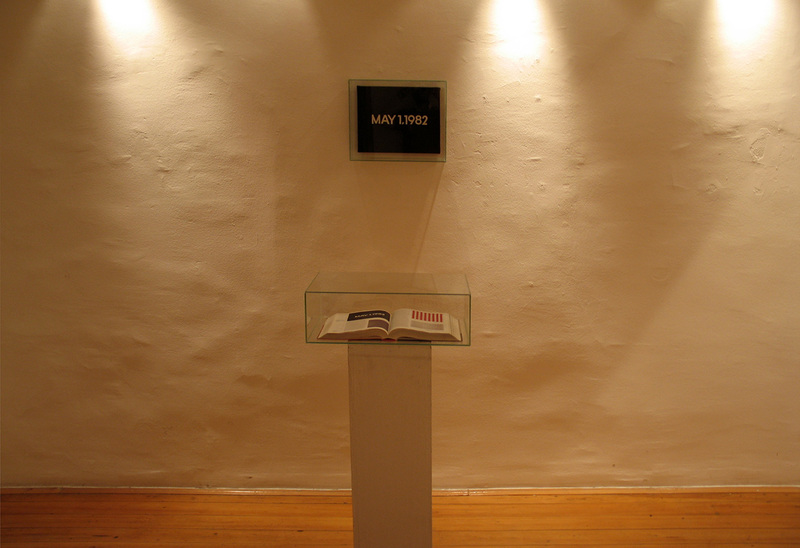 Investiture, ordaining or deification of the artist in the cycle May 1 1982, done by forging Kawara's work, lies on the other side of the ethical and aesthetic codex. This forging manipulation gives a true statement – enthroning the chosen role model as a Prophet who heralded Marko's advancement through a mystical sign. Irony and distortion in the function of truth. Almost impossible, but functional as the myth about Yorick's skull. By emitting a number of casual and gaudily decorative, often confusing messages, Stojanovic invites the search for the grain of essence under a brand. A good starting attitude of a designer. Investitura, rukopoloženje ili deifikacija umetnika u ciklusu 1. maj 1982. falsifikovanjem rada umetnika On Kawara, sa druge je strane etičkog i estetskog kodeksa. Ovim falsifikatom i manipulacijom daje se tačan iskaz – ustoličenje odabranog uzora u Proroka koji je mističnim znakom nagovestio rađanje Markovog prosedea. Ironija i distorzija u funkciji istine. Gotovo nemoguće, ali funkcionalno kao mit o Jorikovoj lobanji. Slanjem mnoštva naoko uzgrednih i napadno dekorativnih, često zbunjujućih poruka, Stojanović poziva na traganje za zrnom suštine ispod brenda. Dobar početni stav dizajnera.